See what's going on in your city any night of the week, easily get on the guest list and reserve tables at VIP nightclubs with the one and only Clubbable. Clubbable is a cross-platform app that’s designed with a very unique concept. It is basically a nightlife networking platform where users can experience improved VIP nightlife. Let’s see what the app’s all about and why we made it Lifestyle App of the Week. What is Clubbable all about? The Clubbable as the incredible and practical lifestyle app for nightlife purposes is easy to use, very unique and simple, offering each user the easiest way to keep on track with what is happening around the city every night of the week. Developed for Android and IOS users, the app is quite user-friendly offering the users to discover the best events and book tables, getting on guest-lists in the VIP clubs in their city. Users will save time, enjoying the nightlife in their city and have the perfect night out. Clubbable and the features offered on it will help the user save time and instantly discover the best places for going out in his city, each night of the week, directly on his phone. Using the app will help users to get on guest lists for any VIP club in their city they like and book tables easily. The app is allowing each user to see who is attending the event they like to attend as well and chat with his friends on the app to make arrangements and plan the night out. Sharing photos of the night out is also allowed for the user to do if he wants and also the user has the chance to get in touch with the right promoters of any club they like to get in. 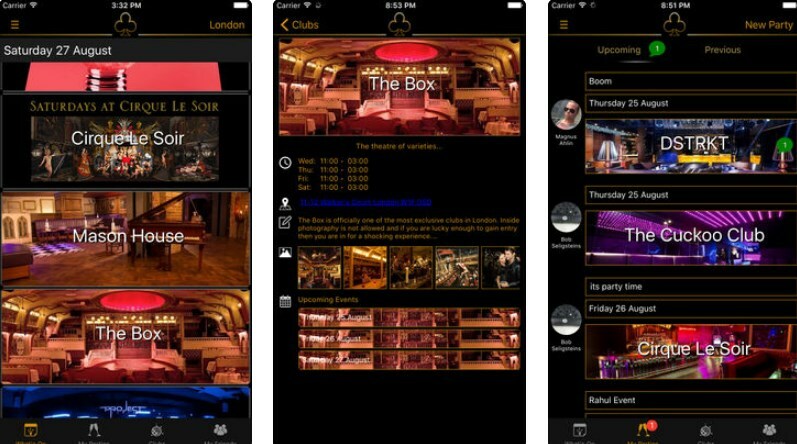 Promoters can also use the app to use this luxury nightlife network to send offers and the users can vote for offers or accept them depending only on their choice. By using the app, each user can plan his night out and get to any VIP club he likes to and the promoters have the chance to promote the club they represent as best as they can without much effort, the app will help them enjoy the nightlife and plan the perfect night out. Download it for free on Google Play and App Store now to keep up with the nightlife in your city!